Saturday November 7, Tenaya Darlington aka Madame Fromage will be hosting an afternoon Fika with me at her house in Philadelphia. And we both would love you to join us. For the occasion, we’re designing a cozy mulled wine gathering with fika treats and cheese. There will be a variety of bread and cookie samples from the fika book and Tenaya will specially design a luscious cheese board to match the treats. There will also be a baking demonstration and I will show you one of the best ways to make glögg (Swedish mulled wine). Tenaya will give you her personal stories behind the selected cheeses. We are both super excited to see you there. And I’m also thrilled to finally meet Tenaya, who has been one of my favorite blogger and food writers for years. Last year we collaborated on an illustrated cheese calender, which resulted in four seasonal cheese posts (see links below). I’m super honored that she wants to host this little cheese salon with me, for you. 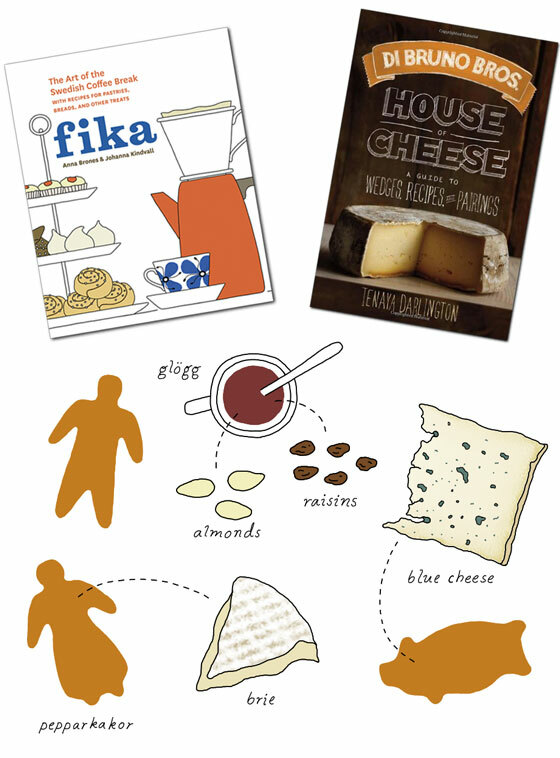 The Fika book and Tenaya’s wonderful cheese book will be on sale at the party. You can pre order them to a special price when you purchase your ticket. I will also have a few fika and cheese prints for sale at the party. 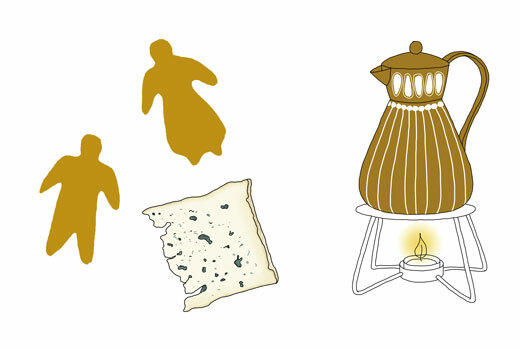 If you want to know more about fika and how to pair it with cheese you are most welcome. We have 15 spots for this special fika hour. SATURDAY, NOVEMBER 7 4-6 p.m.
Psst did you miss this? Well you can easily host one yourself! Here, Tenaya brings you behind the scenes and reveals how successfully host a Fika & Cheese party at home. Tenaya Darlington aka Madame Fromage is a cheese blogger and writer in Philadelphia. Her latest book, Di Bruno Bros. House of Cheese: A Guide to Wedges, Recipes, and Pairings. At the moment she is finishing up her next cookbook which is a cocktail collaboration with her brother André Darlington. Johanna Kindvall is a blogger and illustrator from Sweden who lives in Brooklyn. 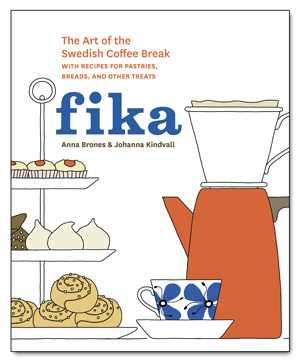 Her latest book is Fika: The Art of The Swedish Coffee Break, with Recipes for Breads, Pastries, and Other Treats (Ten Speed, 2015), by Anna Brones and Johanna Kindvall. Looking forward to meet you too Livia. And I have reserved a copy for you. See you soon!